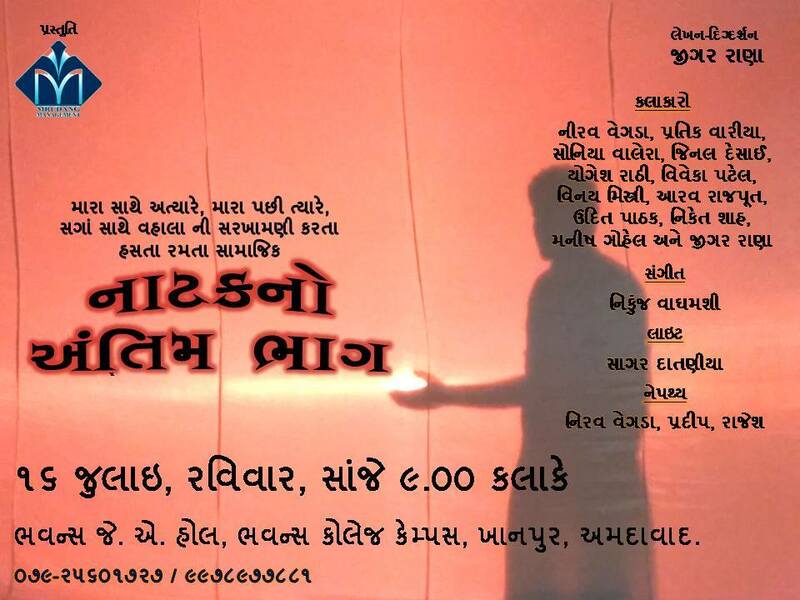 A full-length Gujarati play describes ralations very effectively. A famous poet Gani Dahiwala has written “Sanman kevu pamso mrutyu pachi gani” The entire play based on what happens when a person is alive and when a person is dead. How close relatives friends, known people, professionals will behave after a dead person.